D1002, Oswald T Wistle, RalphW and 1 other person like this. Another good (impromptu as I got all the arrangements done in 24hrs flat once I found out my car service was postponed by the garage) day out, and great to share stories with Oswald T Wistle. I enjoyed the run, but not the TPE back home! Left Preston 16 late, missed the 19:35 connection at Piccadilly, and ended up sharing a table with, shall we say, a sense and sensibility-impaired Leeds supporter from Wigan who had succeeded in embarrassing his partner. Tidy stuff. Spot on Henry, good to see a lovely lit exhaust considering they stopped shortly after passing you . I had a very enjoyable day catching up with people (got a few tips from Victor too) plus enjoyed talking to 'new' faces from across the country. Fantastic scenery, great Locos, uncommon Double Heading and another complex day wonderfully put together by an experienced group of talented people along with RTC. leander, sgthompson, Moylesy98 and 2 others like this. Screwed by the wind on Shap. 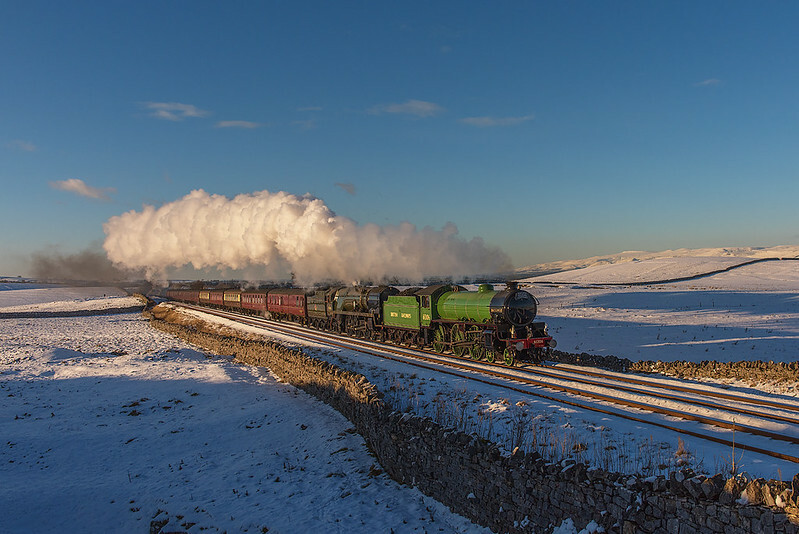 "The Winter Cumbrian Mountain Express", 02/02/19. CLN_WVR, Dan Hamblin, Johnb and 29 others like this. 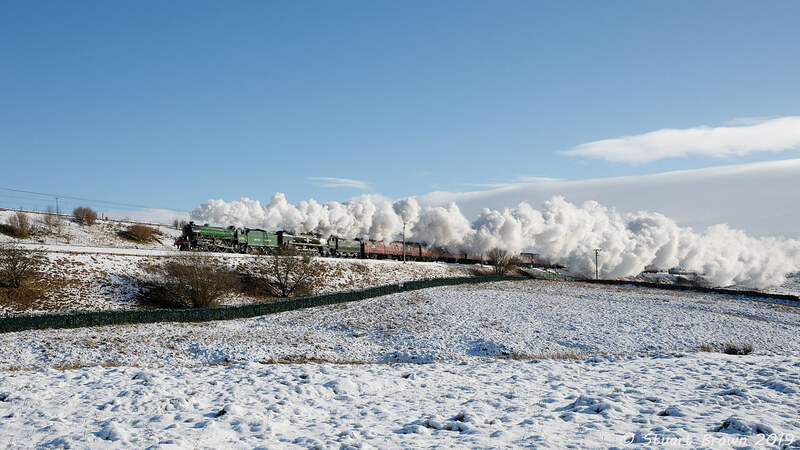 Both great Images - especially Fantasctic Ribblehead shot though. Despite the cold weather and a few minor issues along the S&C it was still a great run out behind Mayflower & British India Line. 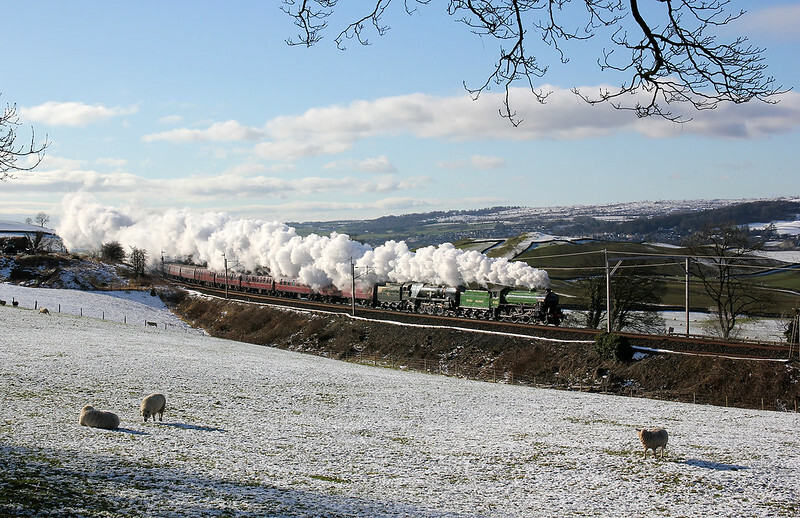 "The Winter Cumbrian Mountain Express, 02/02/19. Was onboard that tour and it certainly wasnt a dissapointment for me, by pure coincidence when I went out to see Mayflower a few days before this tour I said that id love to travel behind the B1 at some point in the future. But the issue is where it's based as most tours it did before it's overhaul were down south and the engine is allocated to Steam Dreams tours for later this year so will likely be staying down in London or other places in the south of england. It looks though that someone read my mind and decided to have her on the front instead of it just being BIL. LancashireSteamGirl and Waterbuck like this. Superb Stuart especially the sunset shot at Ribblehead . Quite surprised nobody did that as a video shot ! Evening all, first time poster here. I was on yesterday's trip and had a thoroughly enjoyable trip. My first time over the S & C line, and my first time travelling with all of the loco's involved. sunstream, acorb, simon 6233 and 3 others like this. Benson Hall and Greengates. I think this one will be a memorable day for many reasons. What a day! Superb shots Ian , spotted you at Birkett but you must’ve moved at the last minute. Thanks Stephen. Yes, had a look at Birkett, but wandered back to Greengates in the end. 26D_M and sgthompson like this. Nice to see so many out for it and catch up with so many. henrywinskill, 46223, 26D_M and 2 others like this. A very enjoyable video indeed, hope you had a good day.